Being the most populous country in the world, China has had to endure a law to reduce the population that changed families’ whole lives. 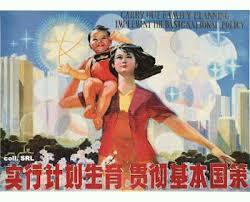 The One Child Policy established in the Asian continent stated that a family could only have one child; this was an effort to lessen the population, and it succeeded. The policy prevented more than 400 billion births. But there were some serious drawbacks. China is a country with gender inequality issues and this law only added to them. There have been many more males born in the last decade due to an extended number of female abortions. This is due to the fact that women in Chinese society are seen as inferior and don’t have the same privileges as men. Moreover, many families don’t want a girl because they can’t depend on them at an old age. But the low number of women born is about to change. The One Child Policy is soon going to have different standards. If both parents are single children, the family can have two kids. This change in the law is giving hope and opportunity to families that previously did not have any. With the One Child Law changing, experts on Newsweek say the population will increase by 1 million. Hopefully that will help decrease the gender gap as well, by first reducing the ratio of men to women born. According to Wikipedia, currently there’s a ratio of 122 males born for every 100 females due to the abortions that have occurred. Being 87 in the world rank of gender gap, China now has a greater male population. Even so, there is an amount of the female population who are called “leftover women”. Leta Hong Fincher writes in her book Leftover Women: The Resurgence of Gender Inequality in China that the idea of “Leftover Women” was created my mass media in 2007. It’s a term that is used to define woman that are above 25 years of age and haven’t married a man; women feel pressured to marry early, so that society won’t belittle them for not having a man to depend on. Despite this degrading fact, there’s now a shortage of marriage-age women in China, which displays the how the gender ratio has affected the life of many, both male and female. Gender inequality is an important topic in China and it’s an issue that has to change. The change in the One Child Law will decrease the gender gap and will hopefully provide a different view on women’s role in society like it’s happening in the United States. Women are rising to power in their jobs and proving men that they are as capable of sustaining the economy, politics and their household. Fortunately, the wage gap in the United States is changing; China should follow its footsteps and not treat women as inferior. The two biggest world powers can cooperate so that, along with the One Child Law, the country can give its women more rights and change the outlook of families’ lives. This article is very much interesting. I already had a sense of knowledge on this subject but never really knew the real reason behind it all. I am fascinated to have developed more understatement on this sensitive topic. I did not know that, crazy. It is interesting discussion that the one kid law could increase gender inequality. I noticed the title and couldn’t help but want to find out more about my own country’s ways. I knew about the policy, but I hadn’t known about the full consequences and seriousness of the unfairness that the policy brings to the people of China. I find it unfair how the males are seen to be more capable than the females and considered overly important enough to abort the female babies. I agree that the policy needs to change in order for progress to happen against inequality. Very enjoyable article. I learned about, but I feel despite the changes in the one child policy, It;ll be truly a long time before there’s equality to the same degree as North America. Which as you said in the article above still has a lot issues to tinker out. China’s improving but it has a long way to go before they strive a balance that’s seen as expect able to the rest of the world.